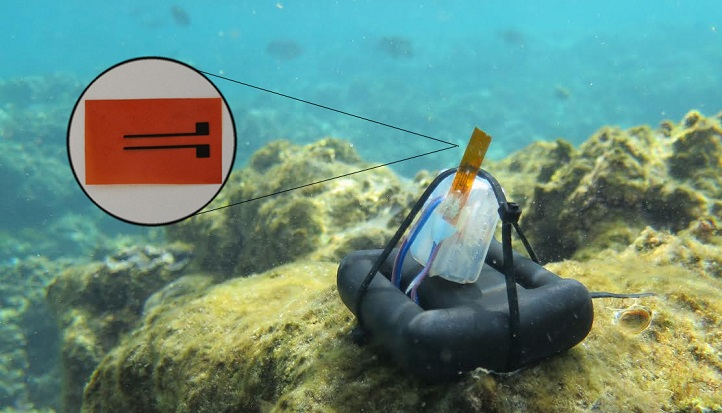 A flexible, lightweight and robust salinity sensor that can be attached to aquatic animals for longterm monitoring of their habitat has been developed by a multidisciplinary team at KAUST. The team created a sensor that accurately records salinity even after longterm submersion. The sensor can form the basis of a marine animal monitoring device that records multiple underwater habitat parameters. 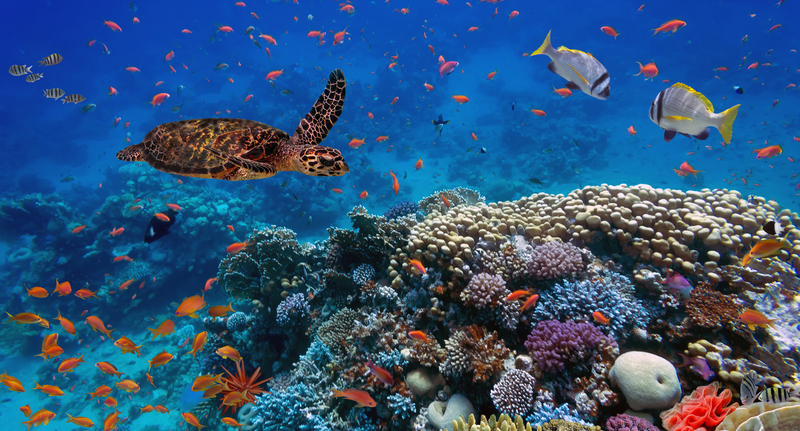 Located on the shores of the Red Sea, KAUST has a research focus on this ecologically rich and economically important ecosystem. Electrical engineer Jürgen Kosel is working with marine scientist Carlos Duarte from the Red Sea Research Center to develop monitoring devices as part of KAUST’s Sensor Initiative. One important parameter is shifting ocean salinity, which can impact the health of marine organisms, but also affects key aspects of the ocean system, such as water circulation. It is a pivotal parameter used to study properties of the oceans as well as the effects of climate change. The saltier the water, the higher its electrical conductivity, which can be measured using a pair of electrodes. The challenge lies in the fact that, in seawater, microorganisms will start growing on the electrode surface, causing a fall in the recorded conductance values. The researchers have developed a sensor that overcomes this problem. The team created the sensor from a flexible polymer sheet. Writing on the sheet using a laser beam, the team heated targeted strips of the polymer, breaking down the polymer structure to produce conductive strips of graphene that form the electrodes. When operated at low frequency, biofouling caused the same conductance drop that had afflicted previous devices. But when it was operated at high frequency, the team showed, biofouling had no effect on the performance and the sensor maintained a steady reading even after weeks in seawater. The team plans to use the laser-induced graphene technique as a versatile, inexpensive way to create integrated sensor platforms that can monitor temperature, pressure, salinity, pH and magnetic field. The data collected from these versatile sensors are intended to be incorporated into Red Sea conservation management.